Home intrusions are probably the most alarming accident that might occur under your roof; losing all control and knowledge of what just happen (and perhaps is still happening), on top of the financial lose that usually follows and your family’s distress – it is highly understandable you don’t think clearly right now. Take a breather, and follow these instructions step by step. You don’t know is the burglar is still around, you don’t know what he/they was looking for, you, most likely don’t know the data and statistics of the area right now; therefore we highly recommend you drop everything and find a safe spot in your property and lock the door. Once you know you’re safe – call the police ASAP, they have the deterrence it takes to remove the criminal from your home for good, once he spots the police in the horizon you can rest assure he’ll start running. On top of that, you’d want them to fill out an official report and increase the chances to catch the burglar (and also, you’ll need their report later for insurance claims). What you have? What you’ve lost? What was damaged? Where did the intruder came from? How did he / they leave? This is the right moment to call an emergency locksmith service, better yet- a certified residential locksmith service in your area. As locksmiths we can offer maximum security coverage, a security audit that sheds a light on your property’s security soft spot, an immediate replacement for any damaged locks / gates / doors / security cameras / security systems. 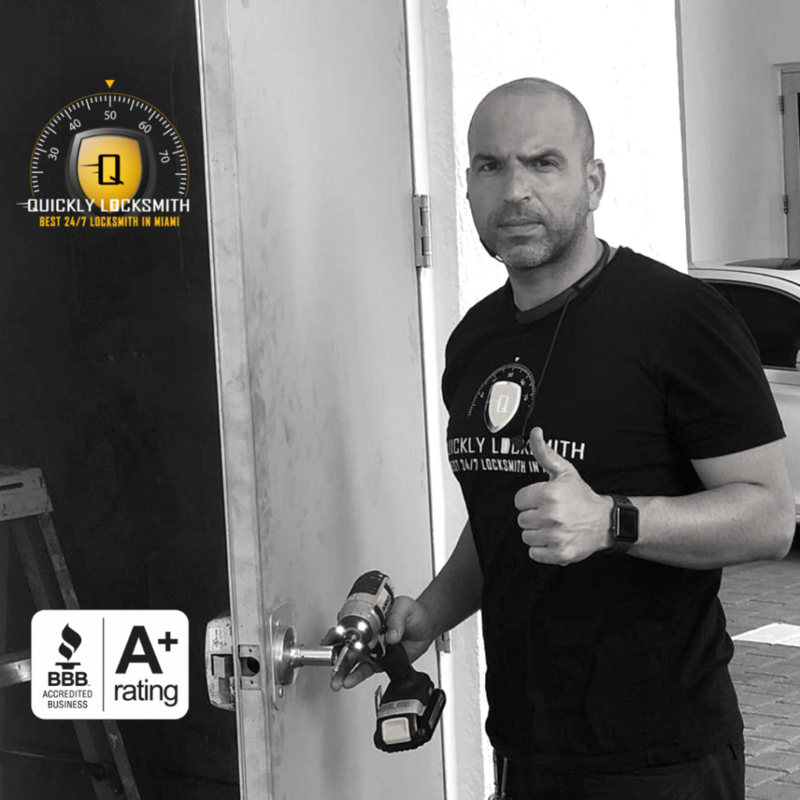 Here at Quickly Locksmith we’re available day & night to answer any emergency locksmith call, we’re there with in 15 min since your call was answered and we’re coming well equipped to get your property back to normal. Start taking inventory – what’s damaged? What’s stolen? 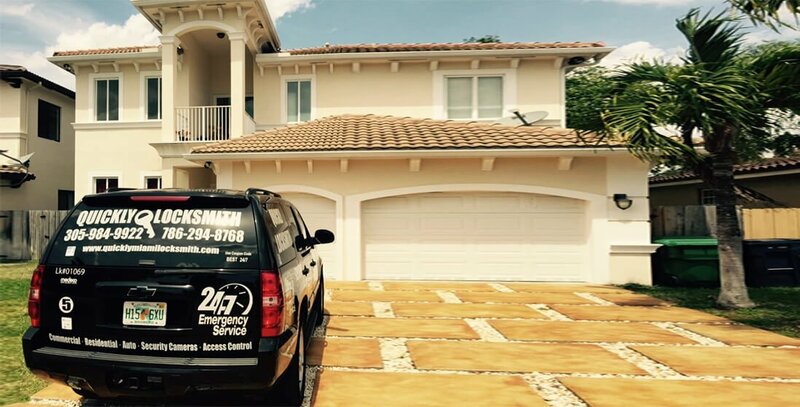 Reaching from our rich experience as the leading residential locksmith service in Miami we highly recommend you get your home back in order ASAP, don’t let the mess and broken stick until the next morning. 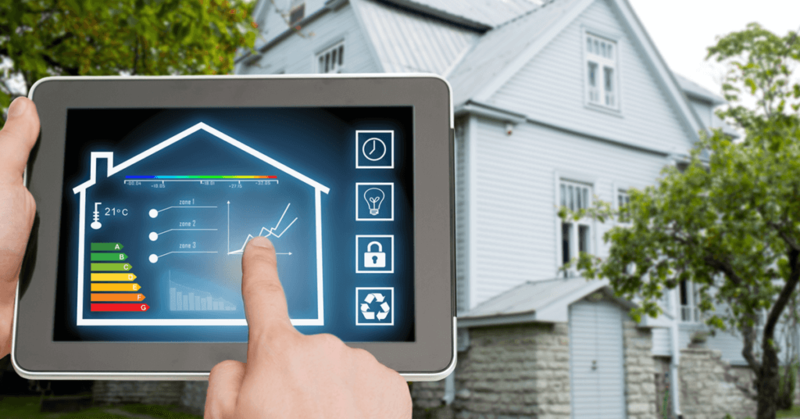 In most cases, a burglar is looking for a fast pay and not more than that… it was alarming nonetheless, and still you’d better try and move past it for your family’s overall peace of mind. However, this is the time to seek the advice of a certified locksmith service in Miami FL; any certified residential locksmith service would be able to offer a security audit and reliable security set-up to protect you better in the future.